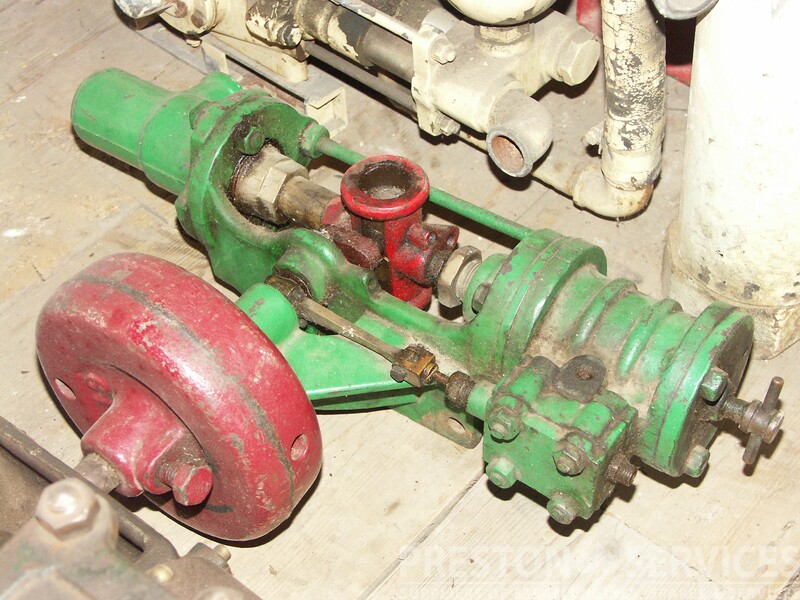 Model A17 vertical rotative boiler feed pump, the smallest vertical pump in the range. 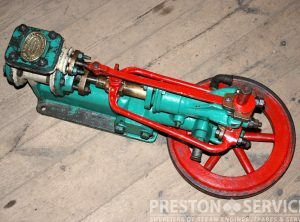 Single Cylinder 2″ x 2″ x 2 1/2” Stroke. 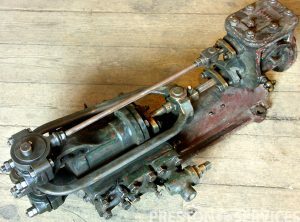 Approx 17″ Long, 7″ dia flywheel. 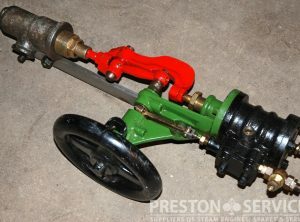 This is a ‘Manchester’ donkey or wall pump by Frank Pearn & Co, Manchester. 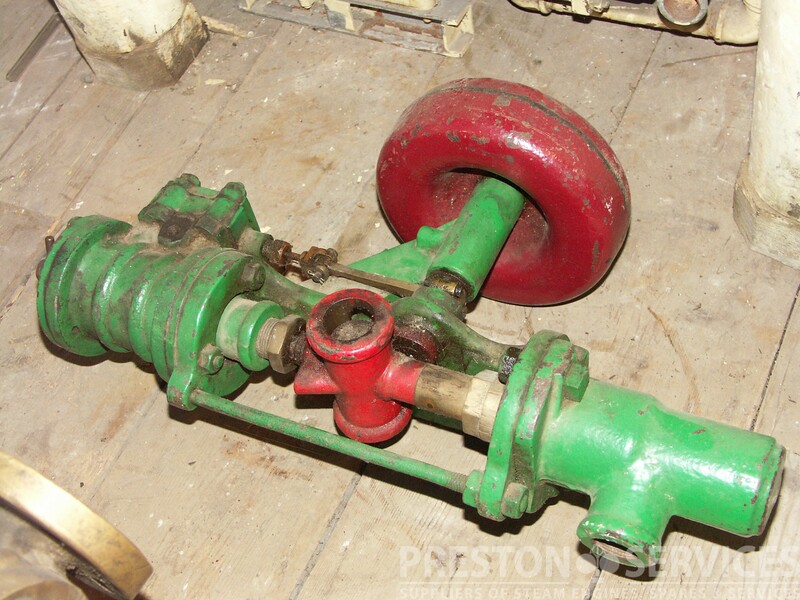 ‘Banjo’ type rotative action, this is vertical wall mounting for boiler feed. 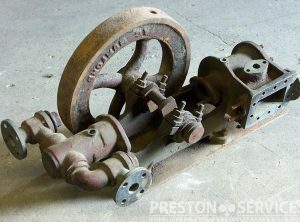 A small donkey or wall/bulkhead mounting rotative boiler feed pump by Elliott and Garrood of Ingate Ironworks. 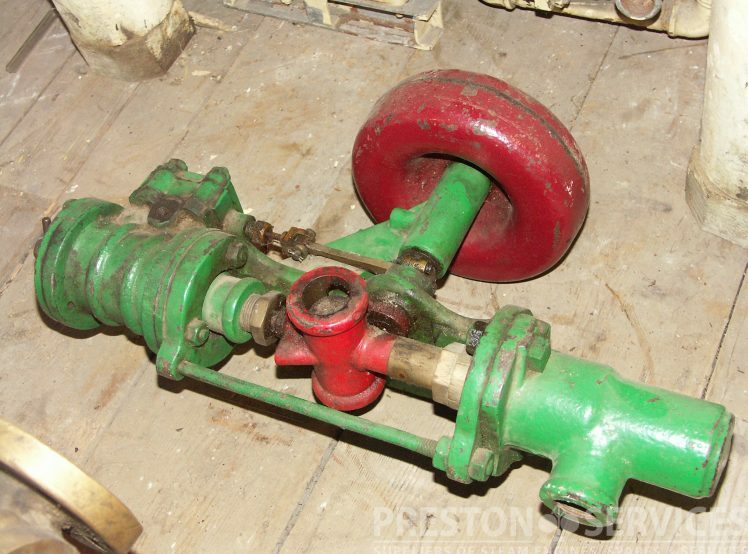 A rotative boiler feed pump by Elliott and Garrood of Ingate Ironworks. 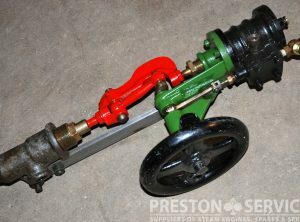 Model No.1, a very rare small pump. 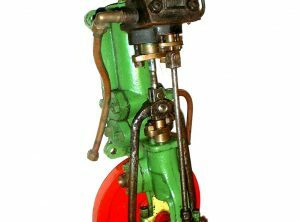 Single Cylinder 2 1/2″ x 2 1/2″ x 3 1/2″ Stroke. Made by St Boltolph’s Eng. Works, Colchester. 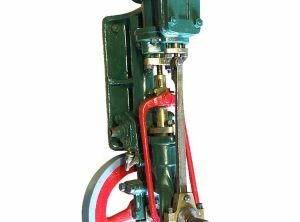 Single Cylinder 1 1/2″ x 1″ x 3″ Stroke. 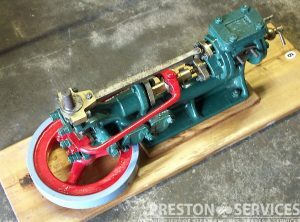 24″ Long, 12 1/2″ Backplate, 10.5″ Dia Flywheel. 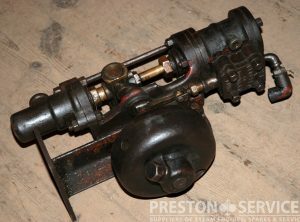 Single Cylinder 1″ x 1 1/2″ x 2 1/2″ Stroke. 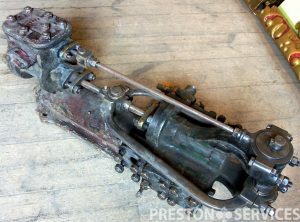 22″ Long ~ The smallest size Mumford pump. By A.G. Mumford, Colchester, Essex. 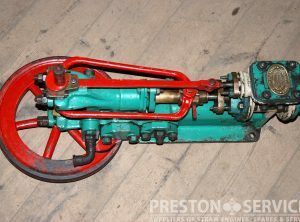 Single Cylinder 3″ x 2 1/2″ x 3″ Stroke. 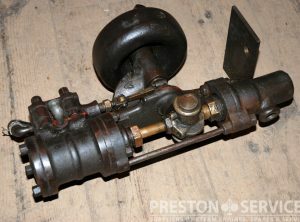 23″ Long, Fylwheel 14″ Dia, 3/8″ BSP inlet. A very small earlier Mumford design.